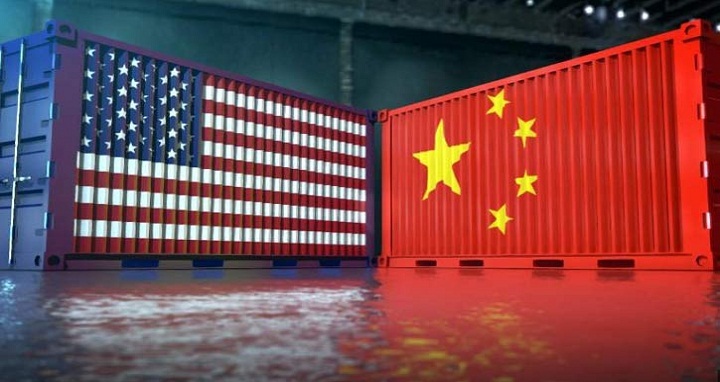 Dhaka, 8 August, Abnews: The Trump administration announced Tuesday it is moving forward with a 25 percent tariff on $16 billion in Chinese goods, further escalating a trade war with Beijing. The new tariffs will take effect on August 23 and will impact 279 product lines, down from the original 284 that were proposed on June 15, the U.S. Trade Representative’s office said. Products to be impacted include electronics, plastics and railway freight cars. The tariffs are the second round of duties that the U.S. has imposed on Chinese goods in a dispute over technology. An initial round of tariffs was placed on $34 billion of Chinese products on July 6. President Donald Trump earlier proposed 10 percent tariffs on an additional $200 billion of Chinese imports. Last week, he instructed U.S. Trade Representative Robert Lighthizer to consider more than doubling those duties to 25 percent. Those tariffs could be levied in September, following a public comment period. The latest round of tariffs comes during a breakdown of trade talks between the Trump administration and Beijing and amid a growing trade dispute that has rattled global markets. In July, Beijing announced that it would slap an extra 25 percent duty on 545 products from the United States including soybeans, electric cars, orange juice, whiskey, salmon and cigars, in retaliation for Trump’s initial round of tariffs. Last week, China’s Ministry of Finance it would place tariffs on an additional $60 billion of U.S. goods, including coffee, honey and industrial chemicals, if Trump goes through with the threat to place duties on an additional $200 billion in Chinese products.